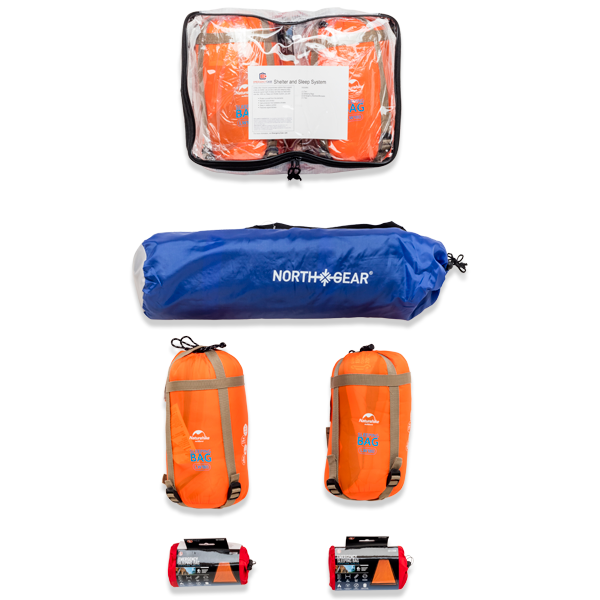 The Premium Family 2 Person 4 Days Emergency Kit has everything you need for any type of natural or man-made disaster. 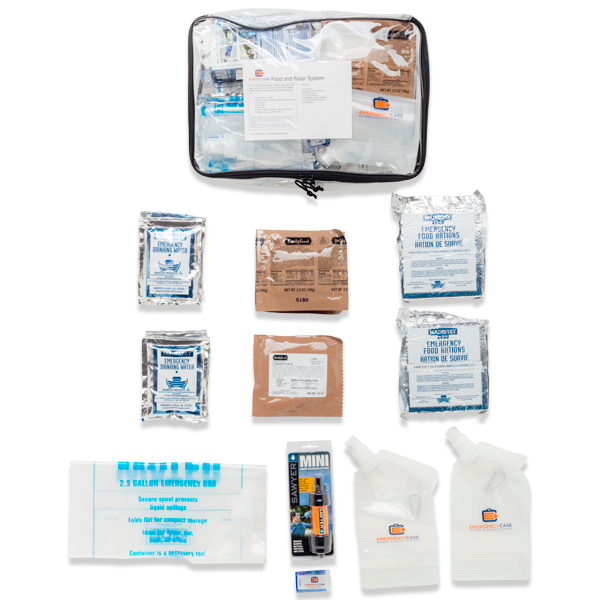 The 5 Kit Emergency System surpasses the FEMA U.S. Government suggested preparedness guidelines and more. THE ONLY EMERGENCY KIT THAT CAN HOUSE, FEED, AND PROTECT YOUR FAMILY: Easy rolling, mobile, highly durable, lockable, waterproof case contains a 5 kit emergency system. One mobile case, with the right supplies on-hand, in one location. This is the complete livable solution you will own. Evacuate in 60 seconds. 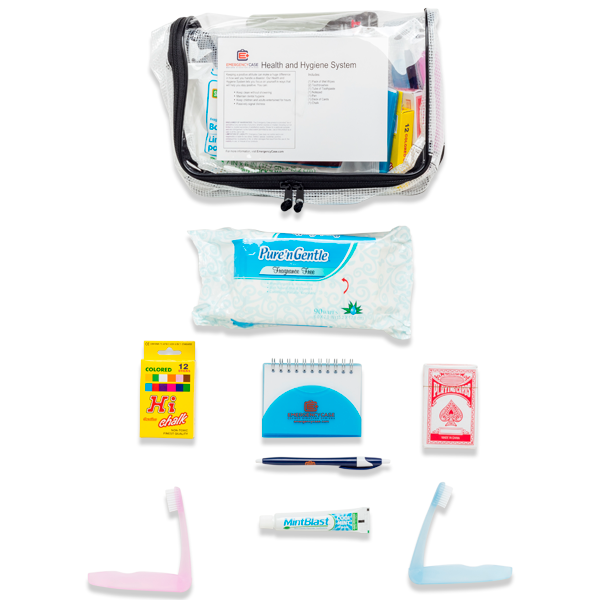 Outer Dimensions: 22.5" x 17" x 11.5"
Stop waiting to plan for an emergency and get your kit today! I don’t know why I waited so long. Everything my husband and I need is contained in one place and it’s amazing. Such peace of mind knowing we at least have a plan. Thanks EC!!!! Emergency kits never quite hit the mark for me until I discovered Emergency Case. You could piece things together probably for less money if you did it yourself, but I don't have the energy nor time to do it. I like how this kit is organized, has quality materials, and there must have been true thought on how to group what you need and how to access it, so for those reasons I appreciate this iteration of emergency preparedness and decided to purchase despite what felt like a high price tag. Hopefully we never have to use it, but I feel prepared now if we do with quality contents. 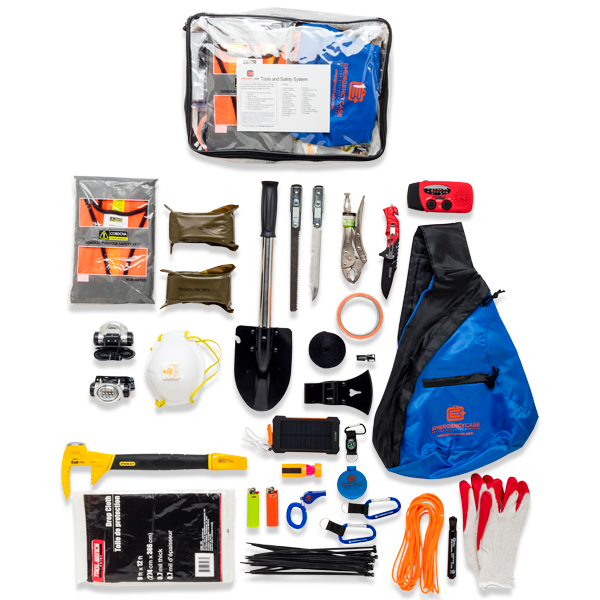 I will just supplement this kit with more water and food, a leatherman type of tool and some work gloves. Now that I have the product in hand, it doesn't feel overpriced, it feels worthwhile. Overall, this is a great product. The rolling case is very durable and fits all of the emergency items with no issues. The only downside is that the price is too high for what you get. I wanted to get a four person kit and it would've costed me almost an extra $200. I was surprised at the amount of quality gear in this Emergency Case. I was having a hard time figuring out all the necessary items to truly be prepared for my family, including two small children. There’s so much gear packaged in one small case. I was really surprised there is an actual tent and sleeping bags and I was impressed to receive the Emergency Case so quickly and easily. 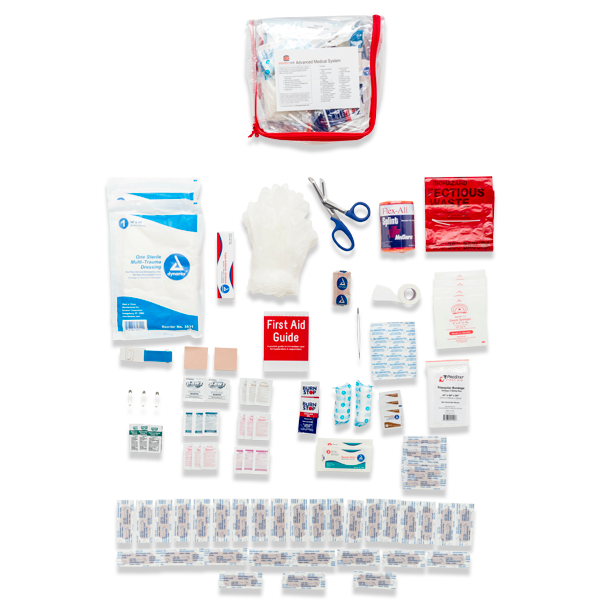 I have purchased emergency kits in the past and all of the contents seemed cheap. I won't need to purchase anymore emergency gear, ever! Highly recommend the Emergency Case.